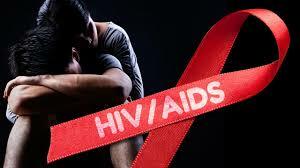 HIV is one of the primer killer diseases in Africa and all over the world. If you know its early symptoms, you can get timely treatment and stop spreading the epidemic! Surely all on its own this sign does not tell you to have HIV. However, in combination with the below-listed ones it should set an alarm and move you to take the HIV test. Soreness in the throat may precede fever. It�s a common symptom for all kinds of infections, both viral and bacterial. However, if you got HIV, the fever may last up to 4 weeks, then disappear and reemerge later on for the same period. 77+ percent of all the patients who were diagnosed with early HIV symptoms had a lasting fever. As well as other skin problems they may indicate HIV infection. This virus affects the whole body and gets those reactions from all organs, including the skin. So, in a combination with ongoing fever and sore throat, it should alarm you and motivate to take the test. These have nothing to do with just feeling hot. People with HIV sweats have extreme experiences. Their clothes drench and even the bed linens get all wet. Many a time person wakes up and has to change before they can go back to sleep. Since HIV affects the immune system of the body the most, it may evoke the enlargement of the immune system organs � the lymph nodes. Over half of the patients with early HIV symptoms had it. This pain may last up to 24 hours. The fits go away and start all over. They may not be attached to any other disease. These primary headaches lead to the low quality of life of a person with HIV. The stomach also reacts to the infection by constant problems and diarrhea. The sense of weakness and fatigue exhausts your energy and makes you feel unable to cope with life. This is how your body reacts to the attack of the virus and lets you know of it.